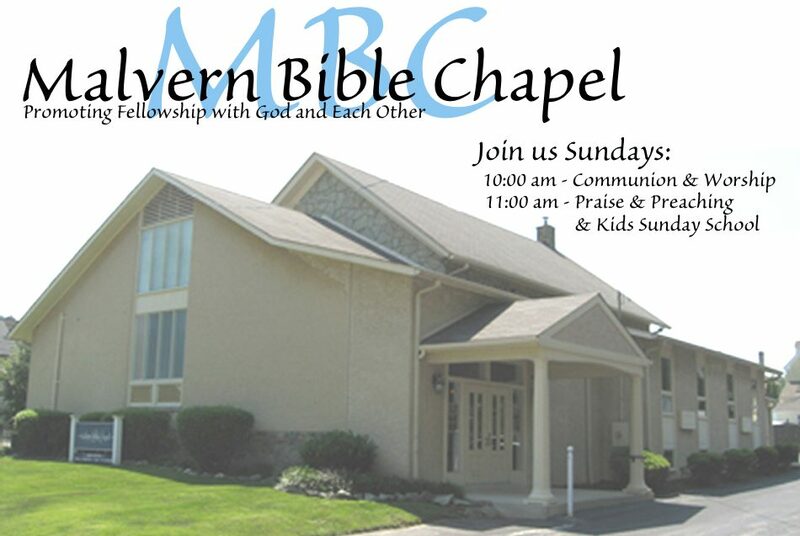 Malvern Bible Chapel is a Bible-believing church founded on New Testament principles. Join us for our weekly communion and worship, fellowship and praise, and preaching from God’s Word. We are located in the heart of Malvern, PA – just off of King St. and at the intersection of Woodland Avenue and Roberts Lane. MBC is close to the Malvern train station, as well as Paoli, Valley Forge, King of Prussia, Exton and Downingtown. Take a look at our Sunday School and kids programs. If you have any further questions after browsing our website, please don’t hesitate to contact us. Listen to sermons & view upcoming sermon topics.